My favourite magazine Vogue, dedicated its July issue to Ageless Style, which is a cracking read for everyone of all ages. I think it is a tribute that fashion and style is not solely earmarked for people in their 20s or 30s and there are plenty of articles and pictures to show how everyone if so interested, can really be so fashionable and or stylish at any age. Following on from yesterdays post on denim, it inspired me to show you all this article, which bestows the virtues of denim right through to your 60s and 70s-if Lauren Hutton can work the trend, then anyone can!! I adore denim and jeans and now I'm in my late 30s, I have no intention of giving them up-hopefully I'll look as good in 30 years time in my flares or bootcuts-or even skinnys-ha ha! 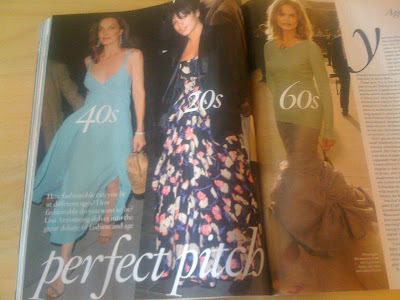 The same goes for dressing up-over sixty certainly isn't frumpy-well Lauren doesn't look it!! I know it doesn't necessarily apply to the majority of you fellow ladies-I reckon the majority of you are not even 30 yet-ha ha! !, but what it goes to show that whatever age you are, trends are there to share if you so wish and if you are stylish or fashion savvy enough, you will rock them!! style is forever..for every age and every person..
Hi aizat.cinta.goddess-yes, totally agree-thanks so much!! But some girls do have it easier to be stylish than others. And yet I've met many larger than life women who just know how to work it. Only you don't see it that much in magazines. Lauren Hutton is gorgeous! That's a very inspiring Vogue feature, hopefully any woman who has given up on being stylish and looking her best as she gets older will see this and think differently. You can be fabulous till the day you die! Hi ellie-I think a lot of it has to do with self confidence,feeling comfortable in your own skin and most importantly dressing for yourself and not what you think will impress others. Ultimately, I think you learn all of these through age and experience!! Hi Danz!! Thanks so much, yes my interest in fashion and style has grown as I've got older and I think as you get older you tend to dress more for yourself and feel more at ease-this shows in your style and self confidence. 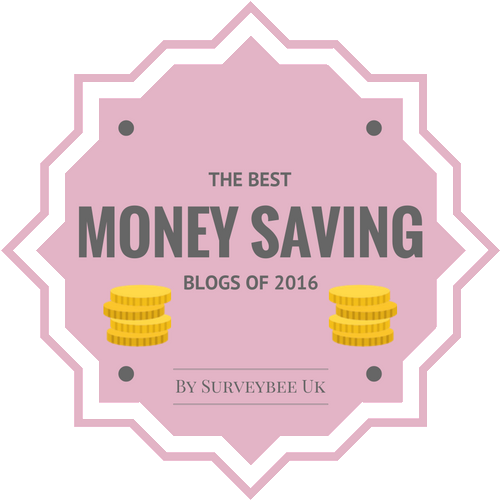 keep up the good work on your blog-it's always a pleasure to see your next posts!! Lauren Hutton is Gorgeous! I basically live in jeans so I definately won't be giving them up any time soon. Hi Nay'chelle-Yay-pleased to hear I'm not the only one!! Well, you know I agree! I come from a long line of women who refuse to become frumpy, I think style changes and instead of being trendy like you want to be when you're a teenager you want to look jazzy as you get older...haha! gosh, gotta go out and get my copy asap! they always do that! during summer they don't know what to write about, and they do this all-ages style, but I love it anyway! Lauren Hutton is reallly outshining her 20-40 year old counterparts in the eveningwear category. That skirt is gorgeous! Is that the British Vogue? If so, I'll have to wait a month or two before it shows up in the bookstores here. Hi Wendy-yes, it is a great issue-one to keep! Hi Chelsea rae-It's nice that you have family members interested in fashion and style as it can be inspiration for your own outfits!! Hi winnie-yes, very inspiring reading!! Hi Atelier-Yes, last Julys issue was this as well-i have this copy too!! Hi Danz-you're more than welcome! 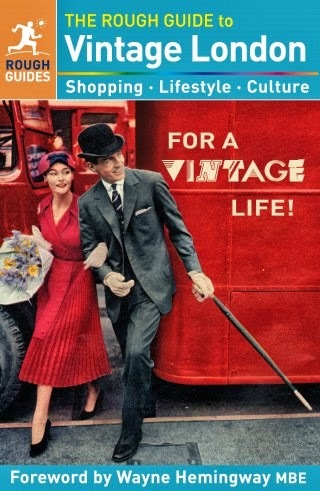 Hi girl@boroughvintage-yes, I so agree, this is a stunning look on her!! Hi asiancajuns-yes it is, worth reading if you can!! 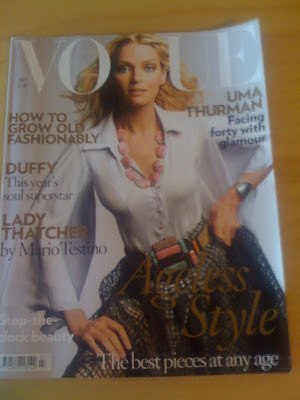 Love Vogue, I simply adore reading it. Nice issue, really informative! i love seeing people at any age still able to dress fashionable! 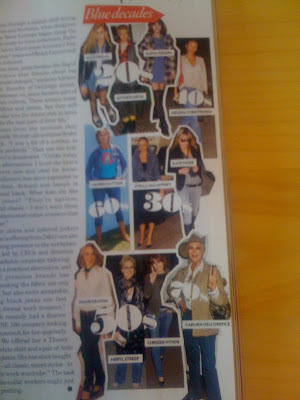 Looks like a really good article to inspire you to dress more stylish. Hi angelgrotton-thanks so much and totally agree, vogues my fave too! Hi cait-yes, totally agree-an inspiring read! agreed! i think style is for anyone, regardless of age. .as long as you are bold enough and are comfortable in it. i'd definitely love to look stunning even when older. Hi p- Yes, my sentiments exactly!! Hi, I am 46 and will never give up to find my style, why should I! Hi heathergem-thanks for stopping by my blog! Good for you-we all should have this attitude-ha ha! !